Central Marylanders are often faced with a choice during the summer–trek out to Ocean City or the Delaware shore or go to one of the closer in Chesapeake Bay Beaches. If you don’t have time or money to head all the way over to the Eastern shore, there are definitely a few popular beaches in Anne Arundel and Calvert County. 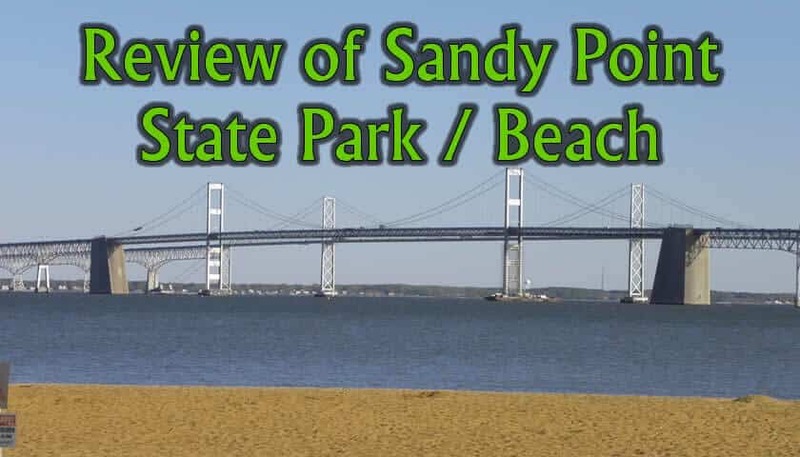 I’d say that among the most popular Chesapeake destinations are North Beach, Chesapeake Beach, Flag Point and the one everyone knows – Sandy Point State Park. The park is open year round. As of this writing, it is only closed on Christmas Day. Hours of Operation are 7am to sunset. Fishermen and boaters may have 24 hour access. There are entrance fees that are paid either using coins (quarters or dollars) or credit cards (Visa/Mastercard). See below for costs. 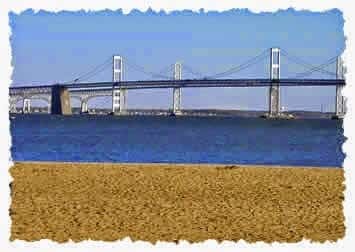 Sandy Point, which opened in the 1950’s, is located just to the western side of the Chesapeake Bay Bridge which looms over the beach. In fact, one drawback of the Sandy Point beach is that you may encounter some of the beach traffic you’re hoping to avoid by not going to Ocean City. To get to Sandy Point, you head down Route 50 towards the bridge but exit (exit 32) shortly before you reach it to get to College Parkway. Just plan your visit with the potential for traffic in mind and most days you’ll be able to get there without much of a delay. In case you were wondering, a section of the beach is supervised by lifeguards from 11 a.m. to 6 p.m. weekdays, and 8 a.m. to 8 p.m. on weekends and holidays, Memorial Day to Labor Day. As a state park, there is an admission fee which as of Summer 2017 is $4.00 per person for Maryland resident — $6.00 per person for non-Maryland resident on non-holiday weekdays; $5.00 per person for Maryland resident — $7.00 per person for non-Maryland resident. Rates may increase for holidays or special events. Military and their dependents as well as disabled people get in for free–you have to present proper ID to get these free passes to Sandy Point. You can also buy a season pass or buy a Golden Age Pass for $10 if you’re older than 61. Here are a few more details: If you plan to go often, you probably want to consider getting a season pass. Golden Age Passes are available for purchase for people age 62+ –with it, you’ll get free admission (and unfortunately, the National Park Service Eagle Passees aren’t accepted). Those with a Maryland Park Service Disability Pass get in for free. BTW, when you get a season pass, they give you a magnetic card to get you into the park, as the entry gates typically aren’t staffed. By the way, aside from those passes, these automatic toll machines accept exact change only in the form of $1 coins and quarters. Alternately, you can use a credit card: MasterCard and VISA are accepted. Be aware that sometimes, especially on certain holidays, the park can fill to capacity and they simply stop letting people in. That can really be disappointing because there aren’t really any comparable nearby beaches. If that happens to you, I can only suggest taking a ride to downtown Annapolis and taking in the sites, or if you a heart-set on the beach, take about a 1-hour ride down to North Beach and hope for the best. The beach itself isn’t perfect, but it is a nice way to spend the day with kids. As mentioned earlier, there are life guards on the beach during the summer months from 10am to 6pm. Snacks and concessions are available for sale at the beach. They also have showers and restrooms available. Aside from going in the water or hanging out on the beach there are also opportunities for crabbing and fishing (for licensed fisherman and people age 16 or under). There are rock jetties you can stand on for fishing or you can rent a 16 foot motor boat/bring your own small craft. Fisherman enjoy 24 hour access to the park during certain times of year. Jigging and chumming seem to be effective ways of catching striped bass at Sandy Point–especially if you’re there in the early morning hours. If you like hiking there is are several nice trails that take you through marsh land and a planted pine forest. It is a great way to see wildlife such as birds and turtles. Pets are allowed in the park only during the off-season times of year. Dogs must be leashed. Sandy Point might be a place to consider for group outings or parties. For large parties they have shelters available for rental that can hold up to 300 people. Note that this is the only place alcohol is allowed in the park, and you MUST get a permit if you intend to serve drinks. Also, you are NOT allowed to have amplified music at Sandy Point. Another important consideration for groups is that everyone entering the park must pay separately. Youth and scouting groups can also reserve a campground area. Another important thing to note is that Sandy Point is a “trash free” park. What that really means is that it is up to the visitors to collect their trash and take it with them. There aren’t any trashcans in the park. Related point–you can bring your dogs to the park during the off season, but you are expected to clean up after them. People ask me what I don’t like about Sandy Point. Well, we’re lucky to have a close-in, convenient option, but well, it isn’t the same as Ocean City. The sand is different, the bottom of the bay feels different to walk on and there seem to be more creatures that bite and sting (Both flying creatures and lots of jellyfish some years–especially when the water starts getting warmer). Another issues is that the beach itself can get kind of dirty sometimes. Anyway, I do like it, but sometimes it makes me wish for O.C. — also, on most days, given the choice, I would rather trek out to North Beach which tends to be better maintained for sunbathers and swimmers. Liked this post? 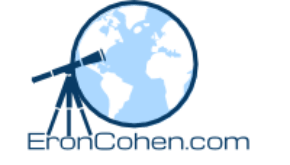 Please check out my other reviews and lists. 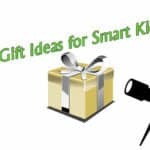 For example, my list of gift ideas for children and restaurants for kids in Howard County.